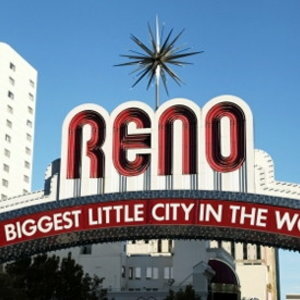 See all Reno has to offer! Don't miss a visit to Lake Tahoe, stop by the National Automobile Museum and the Nevada Museum of Art while you're in town. 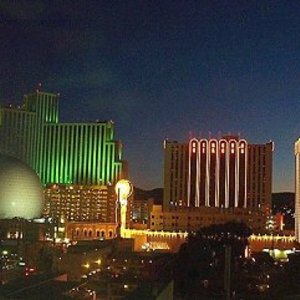 Located in the new hub of shopping and dining in Reno, Atlantis Casino Resort Spa combines convenience and luxury. The hotel offers a complimentary airport shuttle service (at scheduled times) and it is less than 2 miles from the Reno-Tahoe International Airport. 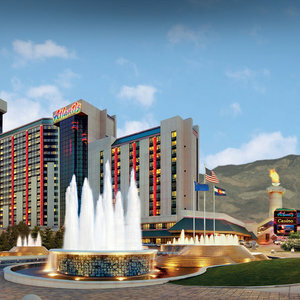 The Atlantis Casino Resort Spa offers valet and self parking (included in resort fee), and the hotel is connected via skywalk to the Reno-Sparks Convention Center. 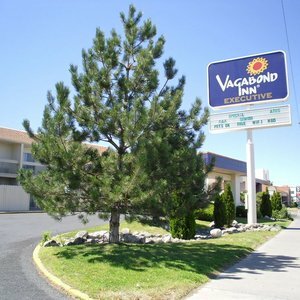 Just 2.6 mi (4.2 km) from the airport, Vagabond Inn Reno puts you within a 10-minute drive of Nevada Museum of Art and National Bowling Stadium. 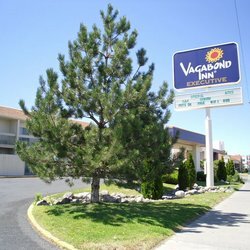 Guests can hang out at the outdoor pool or seasonal outdoor pool, and free perks include continental breakfast, WiFi, and self parking. Also, National Automobile Museum and Fleischmann Planetarium and Science Center are within a short drive. 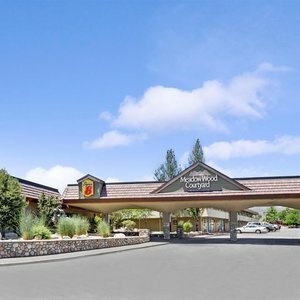 Just 3.5 mi (5.6 km) from the airport, Super 8 Meadow Wood Courtyard puts you within a 15-minute drive of National Automobile Museum and Fleischmann Planetarium and Science Center. Guests looking for a bite to eat can check out Bangkok Cuisine, which serves Thai cuisine. A bar/lounge and a seasonal outdoor pool are other highlights, and rooms offer conveniences like refrigerators and microwaves. 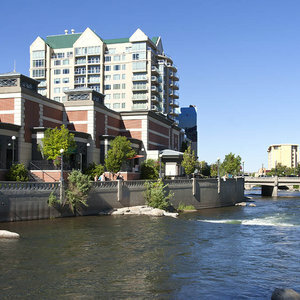 The Reno-Sparks Convention Center is Owned and Operated by the Reno-Sparks Convention and Visitors Authority. 500,000 square feet of fully adaptable exhibition and meeting space. 53 meeting rooms with 110,000 square feet of space. 381,000 square feet of contiguous exhibit space. Loading docks and drive-in access to exhibit halls. Dedicated T-1 lines to show floor. Satellite links. In-house ISP. LAN service.